Did the Biscayne's have the same emblem as the Impala's if they had a 427? Or did they have the 427/TurboJet emblem? I'm not sure if I am understanding this question correctly but as far as I know there are only two different style 427 emblems for '67 full size. The ones that were different weren't for Impala they were for the SS427's (the Z24 cars only). The Z24's got the two piece emblems with the lower V flags . The 2-piece flags and separate large "427" as used ONLY on the SS427 cars. The single-piece "Turbo-Jet" 427 emblem. Used on all full-sized Chevorlet cars (except SS427) when equipped with the 427 engine. You wrote: "Did the Biscayne's have the same emblem as the Impala's if they had a 427?" When you say --> "Impala", do you mean "SS427"? Edited by BigDogSS on 09-06-18 03:19 PM. Reason for edit: No reason given. Here's my question in response to the question... "allegedly" there were no 1967 427 Biscaynes? 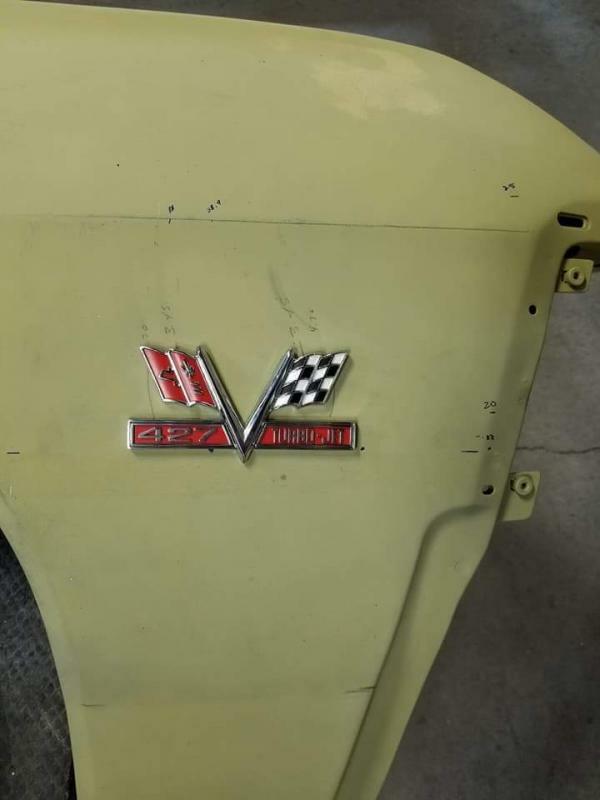 ( verified/documented) - I do see them either for sale or purported to be one - anyway - that being said, I researched and BigDogSS's response is accurate - the "Turbo Jet 427" V badge was on all Chevy's minus the 427 badge on the Imp. SS which was it's own thing... now then - ask me if I am runnin the 427 Turbo Jet Badges on my Biscayne..I is!!! As far as 67 427 Biscaynes, I think you will find there are no L72 67 Biscaynes but the lower horsepower 67 427 Biscaynes certainly do exist. Thanks for all the replies! I was wondering if the SS style emblem would be the same for a 427 in a Biscayne. I recently purchased a 67 Biscayne 2 door that's all original, but needs work. The long term goal is a 427 so I was wondering what emblem it should have. And sorry for the late response. I forgot to "subscribe" to this post and totally forgot about it, lol.